Heartwarming, nostalgic and told with quiet intelligence, The Railway Children is a classic children’s film that adults can also enjoy. Focusing on the adventures of three middle class children in Edwardian times, it is sure to bring a smile even to the most cold-hearted person. In Edwardian times, the three Waterbury children, Roberta ( commonly referred to as Bobbie), Phyllis and Peter live an idyllic life in middle class London with their mother and father. Their lives are changed forever after their father, who works for the Foreign Office, is arrested for allegedly selling state secrets. After his arrest, their mother takes them to live in a cottage in Yorkshire that is located near a railway. Although vastly different from their middle class existence, the three children soon learn to love the place and have many exciting adventures whilst befriending many of the local people, including a kindly station porter called Perks. The siblings enjoy their days in the countryside and by watching the various trains go past on their journeys. Among these adventures are saving a train by waving petticoats to the oncoming train after a landslide, taking in a Russian man looking for his family and caring for an injured grammar schoolboy. Nostalgic and poignant in equal measure, and handsomely directed and cast, The Railway children is a pleasure to watch for any age. Lionel Jeffries directs with a loving attention to period detail and keeps the story both filled with joy and an underlying melancholy. The music of the film is a beautiful listen, capturing the adventures of childhood and the importance of family. The scenery of the Yorkshire countryside is stunning to look at, as is the many scenes in which the children wave to passengers on the trains in the hopes of their love passing to their incarcerated father. Abounding with memorable scenes, it is hard to highlight just a few. The two that stay in my memory are the ones that highlight the closeness of family and the bonds it has. In one scene, it is Bobbie’s birthday. She enters the living room and is greeted by family friends who all give her small presents that mean more than any rich finery. Bobbie seems to glide on a wave of happiness as you see how the little things in life mean more to her. In the other scene, Bobbie is reunited with her father. He emerges through the steam of a train and the look on Bobbie’s face is just so lovely, you see the love and utter joy at this as she runs towards her father. The moment she cries “Daddy, my daddy” is one of the most beautiful and heartfelt things I’ve ever seen. If this scene doesn’t make you shed at least one tear, then you clearly have no heart. Above all, it is the cast that makes The Railway Children such a lovely film to watch. Dinah Sheridan is a kind and soulful presence as the mother, obviously sad at the events that have transpired with her husband but focusing on the positives and caring for her children. 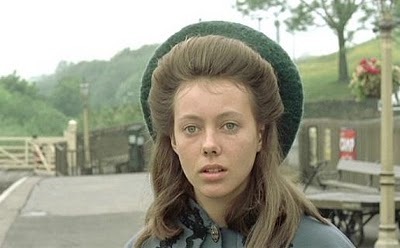 As the eldest child Bobbie, a young Jenny Agutter is perfectly cast. She movingly encompasses her character’s love for adventure with the eventual knowledge that the responsibility of adulthood is slowly arriving. Sally Thomsett and Gary Warren are well cast as the adventurous Phyllis and Peter. 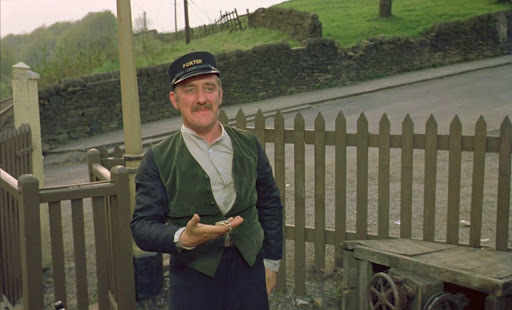 In the supporting cast, Bernard Cribbins is excellent as the kindly porter who befriends the three children. The Railway Children is the kind of film that never seems to get old, it just comes back fresh as ever when you watch it and all those nostalgic memories come flooding back. A heartfelt period drama with adventure, moving music and engaging characters, The Railway Children is a film that will never run out of steam.